A full photocopying service is on offer that includes black and white (80gsm paper) or full colour (100gsm paper) and can be single sided or double sided according to your needs. 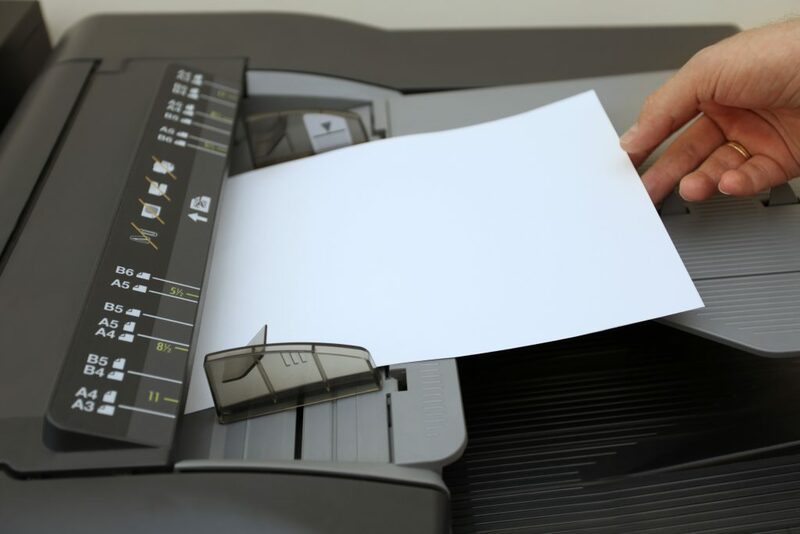 We use laser photocopiers that reproduce excellent quality text and images. The copies can be reproduced onto a wide variety of materials from 80gsm paper to 300gsm card. Documents can be enlarged or reduced, subject to resolution. The finished documents can then be either 2/4 hole punched, 1 or 2 fold, saddle stitched (2 centre staples) or single stapled as required at no extra cost. We can also use customers own materials, subject first to a test run on our machines for both thickness and texture together with suitability to ensure a quality print. If at all possible please ensure that crop marks are removed on PDFS and the JPEGS are of the highest resolution to give an excellent finish. Any questions please give us a call and we will do our utmost to help!